Ellie is a normal girl until she meets hottie Will who reveals she is an ancient warrior that kills demonic monsters from eating people's souls. 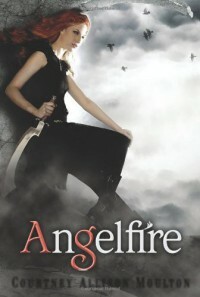 I didn't knew what to expect from Angelfire & I must admit I was slightly disappointed at first. I felt I was reading something I have read before and although there were a little too many clichès for many taste, it had it's good parts. I liked Will, but there were parts in which I didn't understood him & it formed certain apathy toward him. 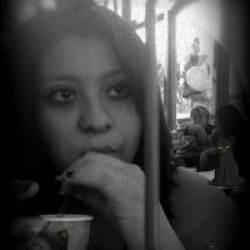 Sometimes I felt he was great & sometimes I just didn't care him.But besides the book was great! It consists mostly of heart stopping fights & smoking hot kisses. I loved especially the ending & can't wait for the second book!